If you sat down for a cup of coffee with Angel Bovee, you’d never guess that she was one of the most accomplished female boxers in the USA. With a dimpled smile, contagious laugh, and a heart of gold, Angel is one of the most unassuming national champions you’ll ever meet. Although Angel and I used to meet for the occasional beer and chat-fest, we’ve since moved far away from one another and we recently had to have our beer session via telephone. I decided to sit down and ask Angel a more formal set of questions and realized even I didn’t know all of her amazingness. She truly is an amazing and inspiring woman and is now featured in our Amazing Women Series. 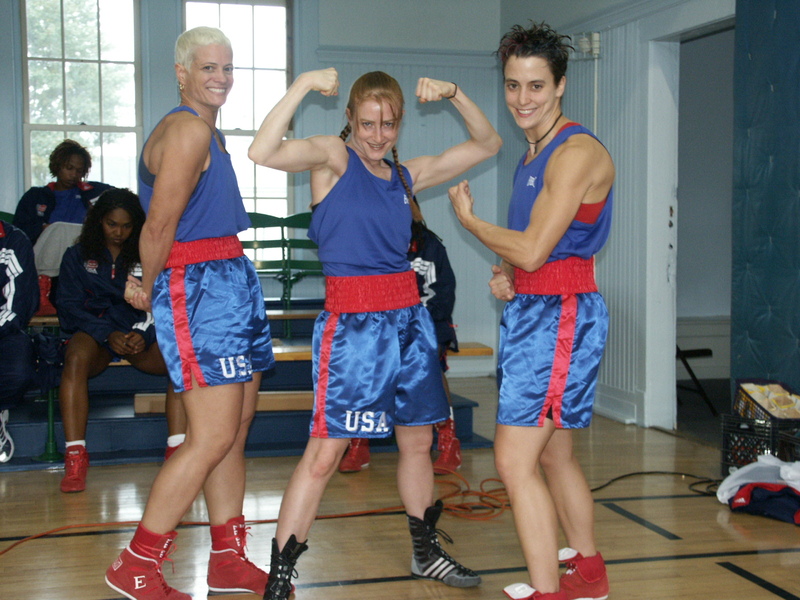 Angel was an Olympic-style boxer from 1999 – 2007 and it was her dream to compete in the 2004 Olympic games, predicted to be the first time women’s boxing would be included. At the time, Angel was ranked #1 in the country and was one of only 6 athletes to represent the USA at the first two women’s world championships ever held for Olympic-style women boxers. She was captain of Team USA for the second world championships in 2002 and won national championship status. Unfortunately, even with all the hard work in promoting equality in women’s boxing, it was still not included in the 2004 summer Olympics and Angel was still unable to compete. Angel’s award winning boxing career ended bittersweet. Due to the upper age limit of 35 in Olympic boxing, Angel had to hang up her gloves without having the chance to realize her dream as women’s boxing was still excluded from the Olympic Games. 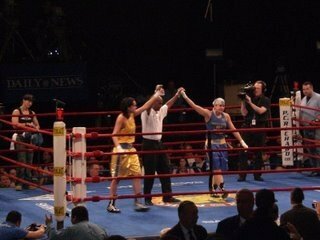 Just before her birthday in 2007, Angel chose to finish her impressive career in her own backyard by becoming the NY Golden Gloves Champion for the third time at Madison Square Garden. Redefining her dreams, in 2006 she was voted as the only woman on the 10 member USA Boxing Board of Directors which is responsible for Olympic-style boxing in the United States. The focus and driving force behind Angel’s competitive career and now with her position on the Board, has been to try and promote women’s boxing and gender equality in sports, both in and out of the ring. She would like to see women get the same respect, training, resources, media exposure, and competition opportunities that male boxers receive and then increase these opportunities for both men and women boxers around the country. I always thought I would be a private detective. The TV detective shows always focused on the problem solving, the physical nature of it as well as the sense of adventure seemed like the perfect fit for me. Only later did I realize that really only existed on TV. In meeting you, I’d never guess you were a champion boxer with several titles on your resume. What are people’s first responses when they find out you are a boxer? I think that is a common response when people meet me, which just goes to show you the stereotypes involved when you hear someone is a “boxer.” I had a reporter once say to me that they had never met a boxer who smiled so much. Boxing, like other sports, defies labels as people from all walks of life are involved. ESPN recently rated 64 sports for levels of difficulty, and boxing came out as #1. This difficulty and challenge attracts a special kind of person to enter the ring. ESPN recently rated 64 sports for levels of difficulty, and boxing came out as #1. This difficulty and challenge attracts a special kind of person to enter the ring. There was recently a controversy about women boxers being required to wear skirts in the Olympic competition. What’s your opinion on the proposed requirement? I think it is a huge slap in the face. A bunch of us worked so hard for years to finally be the last sport in the summer Olympic Games to get included . . .and when we finally do they say they can’t tell the men from the women so the women need to wear skirts? It’s the most ridiculous thing I have ever heard, but it shows you the kind of entrenched sexism and challenges we have had in trying to get women included in the last bastion of male dominant sports. The message they are sending is that you can’t be a woman elite athlete with an athletic body because it makes society uncomfortable. This particular fight we fought in the press and our International Federation finally backed down and are making skirts for women optional. This is still problematic because for many countries, where women are lucky to have training facilities and boxing gear, the choice won’t be optional. They are so happy for the opportunity to compete, they will do whatever their national organizing committee will tell them to do. For example, Poland has their entire team wearing skirts. Even in our country, there is undue pressure on our athletes to wear skirts as some of the older men in power mistakenly believe it will give our athletes some type of advantage with the judges. We have done the statistics on this and proven that it’s just not true, but they don’t seem to be willing to listen. Before the 2010 World Championships, one of our athletes who was the only athlete to go on to win a gold medal, was in tears because the US male coaches wanted her to wear the skirt. That is not something an athlete should be thinking about before their world championship bout. I am embarrassed for our sport. What’s your opinion on prize money for male vs. female boxers? As of 2010, Olympic boxing was an amateur sport and you received no money for competition. Professional female boxers make about 3% or less of what their male counterparts do at the highest levels. I managed a three-time world champion female professional boxer. At that time she was receiving about $10,000 for a world title fight. That was before she paid her coach, cut-man, etc. She had a full-time job and also had to take a week off of work to compete so the small amount of salary was a wash. A male fighter fighting for the same title makes millions. Promoters use the excuses that women don’t sell tickets, yet they don’t put women on the cards, so they don’t have an opportunity to build fan support—it is a Catch 22 seeped in sexism. When a woman does find a way to compete on a card, you often hear fans say it was a much more interesting and entertaining fight than any of the mens’ bouts. The fighter I managed happened to box as the main event on the Fox’s The Best Damn Sports Show, and that episode had the highest rating of the season. Women enter the ring for the love of their sport, NOT for the money, which inherently makes better fights! Who handed you your first set of gloves? I was a martial artist and kick boxer and kicking was always my strength. 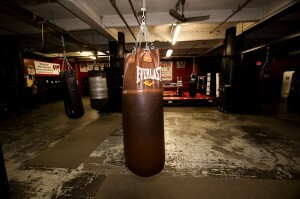 AT 25 years of age I decided that I better improve my hand skills so I walked into a dirty, dark, smelly boxing gym. . . looked around. . . didn’t see a single woman in the place. I picked up a pair of gloves and I never left. I fell in love with the power, strength, speed and grace of boxing. Boxing gyms historically been a place where individuals from different ethnic and religious backgrounds could come together and work at a time in this country when that wasn’t true of society at large. Imagine my surprise when I found out that ideal didn’t hold true for a woman in the gym. Up until that point, getting in the ring was the hardest thing I had ever done in my life. Years later that got replaced by trying to gain gender equality in the sport, in which the boardroom replaced the ring and became the hardest challenge I ever had faced. You had your sights on competing (and winning) in the Olympics, 2004. How did you manage the disappointment of women’s boxing not making it there? It was my dream and I lived every waking moment moving towards that dream. At 25 I had no business thinking I could ever be competitive enough to compete in an Olympic Games, but I really didn’t think about that. Lucikly, I grew up in a household where no one ever told me I couldn’t do something because I was female, because I was gay, because I was old. . .My parents were on welfare when I was real young and never were well off, yet they were such out-of-the-box problem solvers I never felt that we were economically different than anyone else. I grew up in an atmosphere where independence and resiliency was fostered. . .you set a goal and then work extremely hard to achieve that goal, no matter what it was. I credit my parents and being a lifetime member of the Girl Scout organization for helping to foster those skills within me. People always look at me like I am crazy when I told them I quit my job as a television producer and moved out of my apartment and moved into my Plymouth Sundance at the Poughkeepsie Train station so I could commute everyday to the famed Gleason’s gym in Brooklyn and train full-time to achieve my dream. People always look at me like I am crazy when I told them I quit my job as a television producer and moved out of my apartment and moved into my Plymouth Sundance at the Poughkeepsie Train station so I could commute everyday to the famed Gleason’s gym in Brooklyn and train full-time to achieve my dream. Others saw it as an incredible risk but for me it was an easy decision. Anyone can have a job for 40 years working towards the house and the white picket fence. To me, the zest of life comes not in saving for retirement, but having as many unique life experiences as I can, when I can while trying to do some good along the way. Boxing has allowed me to travel the world, and have so many experiences that I would not otherwise have. I am fortunate enough to have been open to certain experiences and have had the extreme pleasure of having experiences like: hanging out with Billy Jean King in her box at the US Open, have taken a team of 16 and 17 year olds to compete in Ecuador, another team to Istanbul, trained in Merida, Mexico for 10 weeks in a tiny gym under the stairs of an outdoor sports stadium, managed a 3-time professional world champion boxer, spent three weeks in Toyko while participating in a pay-per-view event, lived in a Clarion hotel in Scranton, PA for a month because the women’s Team USA wasn’t yet allowed to train at the Olympic Training Center, driven- by myself, without a coach, across country numerous times to compete, assisted in opening the Boxing Resource Center a unique athletic and educational facility, in Nashville, TN, and just got to participate in an NBC shoot for boxing promos they are going to air for the Olympics. . .on and on. . .and those are the good experiences. . . it has been a wild ride! Boxing has allowed me to travel the world, and have so many experiences that I would not otherwise have. Boxing has been the conduit not only for me to have a platform to discuss and fight for gender equality in sports but also to be a positive example of an openly gay and out role model. It is a way to show young girls and women that you can do anything you want in this world, if you are willing to fight the good fight. When the IOC (International Olympic Committee) denied women’s inclusion in the Olympic Games in 2004 and again in 2008, boxing became the only summer sport not to have women on its Olympic program. As you can imagine, it did not set well with me that I wasn’t allowed to compete on the worlds largest stage, not because I wasn’t good enough, but simply because I was a woman. Of course I was angry, absolutely pissed that I could work so hard and not be able to complete my dream because someone deemed boxing wasn’t appropriate for women. How dare they! After a period of anger I realized it was my responsibility to restructure my dream and do everything within my power to not let any other young boxer be denied and have to feel what I was feeling. 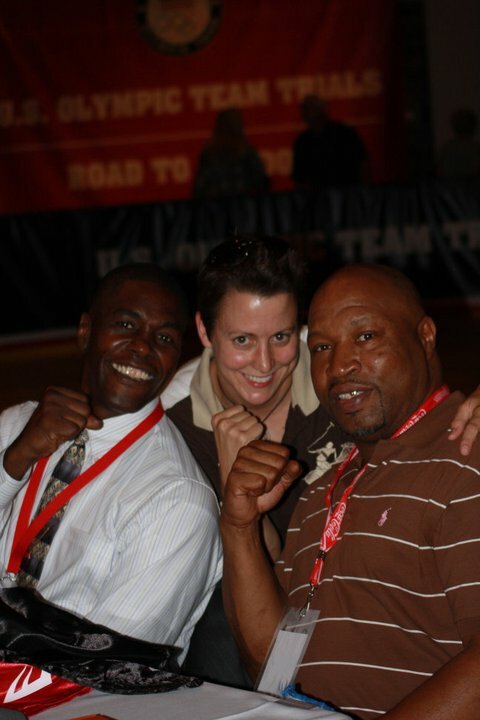 So I got elected to the Board of Directors of USA Boxing in 2006. I served as the only woman on the board from 2006-2010. And boy I thought boxing was hard! Serving on the board, up until today, has been the hardest thing I have ever done, bar none. The sexism that exists at the top level of sport organizations is so deeply entrenched that it becomes very difficult to convince people that have been allowed to think a certain way for so many years without challenge, to change their way of thinking to be inclusive. They see it as a personal affront to their power. Being on the Board I have learned things I never was interested in learning—how to play politics, how to pick your fights, what issues exist that you simply can’t compromise on and have to fight to the end even when it takes a large personal toll. I am still on the Board today and I am happy to report that in 2012 you will see the inclusion, although on a limited basis, of women’s boxing in the Olympic Games, making this the VERY FIRST Olympic Games that will include men and women in all sports. We still have work to do to gain equality in the number of weight classes and number of female athlete slots in the Olympic Games, but we have broken through the glass ceiling. Just in the past month, women’s boxing has been on NPR, NY Times, BBC, the View, NBC Nightly News, and almost every national news outlet there is, including a full spread in this weeks TIME magazine. 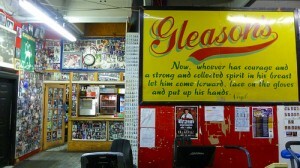 When is the last time you saw a men’s Olympic boxing story in one of these outlets? We kept telling them this would happen but they refused to listen. I will be in London to witness this historic first and hopefully close the chapter of that part of my life. What was your biggest challenge as a professional boxer? Boxing is not all you do. You’ve had a career in television as well as an advanced degree in Recreation Management. What was the worst job you’ve ever had? The worst jobs I have ever had were working in the dish room at the dining hall in college, delivering Auto Trader magazines to gas stations around Albany, NY, handing out towels and keys in an exclusive health club at 5am in the morning, and being a certified pool operator for another health club which involved lots of chemicals and manually draining and scrubbing the hell out of the 12 person hot-tub every week so I could have enough hours to get health insurance. You’ve definitely influenced women’s boxing and the advancement of the sport. What has been your most valued accomplishment? Besides being a part of getting women’s boxing included in the Olympic Games, I think representing athlete rights on the Board of Directors has been one of my biggest accomplishments. How have you seen boxing positively impact women from other countries? It is amazing that countries like Afghanistan, Syria, China, India, and Egypt have established women’s boxing programs. What we are doing goes so much further than just a sport. These woman are changing the social norms of a culture. That is so powerful. 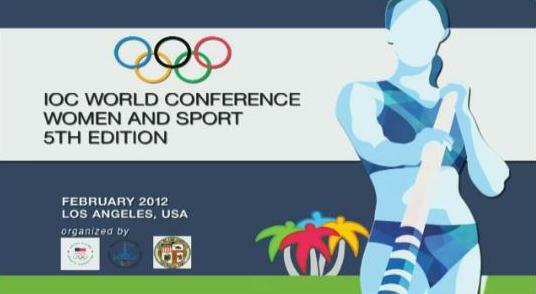 Last month I attended the IOC’s 5th annual Women in Sports Conference where 800 delegates from all over the world attended. To hear their stories of struggle were not only empowering, but you start to realize that you are simply one spoke in a wheel of social change in the world and you are not alone. I have visionary sisters fighting all over the world. While I often find myself extremely impatient for this change, it is happening, while albeit slowly, and that keeps me going! Women’s boxing has gotten some great media coverage since entering the Olympic arena. Tell us how the Olympic battle was won. The battle was won by all of us standing on the shoulders of the pioneers that came before us. In my sphere of influence, it was a group of women that have been fighting since 1995 for this to happen. I am proud to be a part of this group which includes volunteers from around the world that have been working without pay and without recognition and with numerous roadblocks from our own boxing organizations. Women’s boxing appeared in the 1904 St. Louis Olympics and it has taken 108 years to appear again. I am so proud to announce that one of the leaders of our group and one of the hardest working women I know, was recently recognized by the US Olympic Committee and selected as this years winner of the prestigious Olympic Torch Awards. This Award has been won by President Gerald Ford, Bonnie Blair and other incredible individuals that have contributed to the Olympic movement. As she was recognized by this prestigious award in a dinner hosted by NBC’s Bob Costas, our own organization, USA Boxing, didn’t even acknowledge the achievement, so you can see the types of sexism and challenges we still face. RYS has a foundation in self-advocacy. Explain what self-advocacy is to you and why it’s been an important part of your career. If I didn’t learn how to be a self-advocate I would have never made it out of the local boxing gym. To move towards my dreams, I had to learn so many skills other than boxing. I learned early on that when you have a dream, it is contagious. If you believe in yourself and that comes across in your body language and your passion, other people flock to you like a moth to a light. I am not sure why that is, but excitement and passion are contagious. 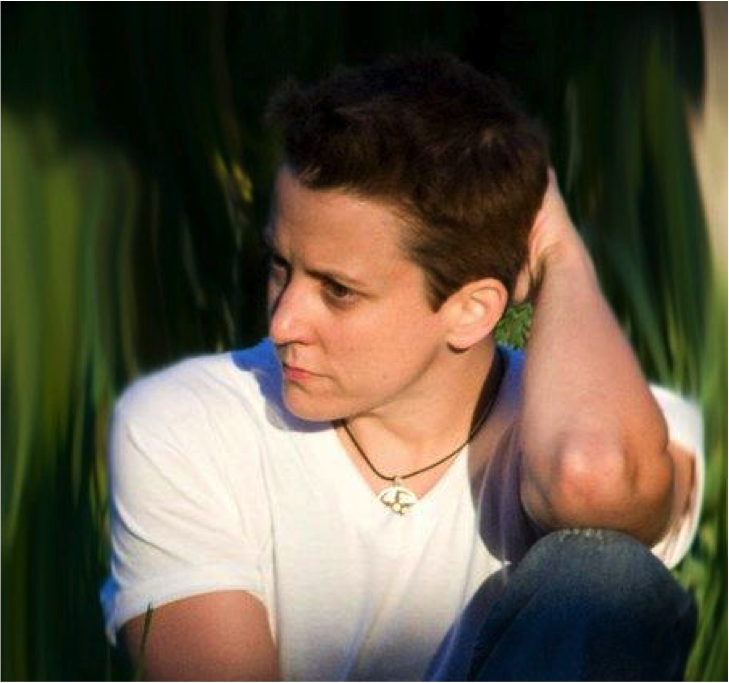 Self –advocacy was crucial to my success. Olympic boxing is an amateur sport and you receive no money for competing. You have to fund all your own travel and training fees. I often call my time in boxing my first master’s degree. I had to learn how to do graphic design and photography so I could create press kits, a website, publicity photos, and marketing materials to promote myself. I had to learn about sports performance so I could open my own personal training business to help fund all of my competitive travel as well as make sure I was optimizing my training time. I had to learn how to fundraise and how to talk to potential sponsors and to the press, not only promote myself and women’s boxing but to also promote women’s equality in sports. I was fortunate that these skills that I learned as well as the contagious nature of a dream kept me in the press and helped me gain many opportunities that I wouldn’t have had if I simply just “boxed” and didn’t learn these other skills. You can be modest and still live your life very openly, very truthfully, and the simple sharing of your experiences can help other in unexpected ways. For instance, when PBS “In the Life” did a documentary on my partner at the time and myself, we got so many e-mails after it aired about the importance of being out gay role models. So many people that watched the documentary contacted us to say that we really inspired them to come out and live open and honestly and the sense of empowerment that that gave them. We were just living the way we knew how to live. I never knew I would have that kind of voice as a boxer. So you really can influence people in unexpected ways simply by honestly sharing your life experiences—the good and the bad. Important question: TP, do you crumple or fold? Crumple-I have no time for folding. I don’t fold my underwear, handwraps, or socks either! What’s the future look like for Angel Bovee? I just started a new job working for Adecco and the US Olympic Committee in Colorado Springs administering the Team USA Career Program. I place Olympic and Paralympic hopefuls in part-time jobs that are flexible with their travel and training schedules so they can gain some career experience to help not only fund their Olympic and Paralympic dreams but also help with their transition out of sport. Even thought I have a master’s degree and experience representing athletes, I have no HR experience and I got the job primarily because I was an elite athlete myself. Never in a million years would I have guessed my boxing experiences would have lead to a job. That makes me chuckle. I hope my future is one of great life experiences. Money has never been a driving force in my life so that leaves me open to all sorts of non-traditional experiences. I have also chosen to minimize fear in my life. We only have so many minutes on this Earth, I don’t want to spend any of my minutes being afraid—afraid of being judged and hated, afraid of not having a 401K, afraid of picking up and starting over in a new location . . .I do plan on trying to simply and get some projects off my plate. I am learning the difficult lesson of just because you can make a difference doesn’t mean you say “yes” to every project that comes along. I want to finish the multitude of projects I have on my plate and spend a little more time on myself and spend time strengthening the relationships in my life. You’ve chosen “fighting” to create a sense of identity and a sense of empowerment within yourself. Discuss. I guess I was born a fighter. Fights inside the ring are unique because at the end of the day, you are in there competing against yourself. Can you be faster, stronger and more skillful than the last time you stepped through the ropes? That is thrilling to me! If we all had equality and were afforded the same opportunities and civil rights, I guess none of us would feel the need to fight. My biggest fights have occurred outside the ring and I really don’t enjoy the process, but just like in boxing, knowing you can make a difference and learning from the fight makes you more effective the next time. As you learn to become effective, your sense of responsibility increases. I am continually surprised why people and organizations don’t just do something because it is the right thing to do. That guiding light should be brighter than economics, personal politics, fear, or anything else that typically is used in making decisions within organizations. Things that seem so simple to me sometimes end up being my biggest fights. 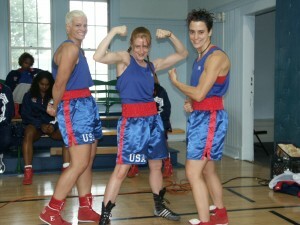 Angel Bovee was an Olympic-style boxer from 1999 – 2007 and holds multiple and impressive titles from her career. 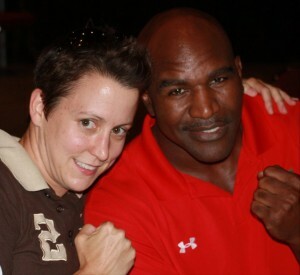 She is heavily involved in women’s Olympic boxing in the USA and still sits on the US Olympic Boxing Board of Directors. 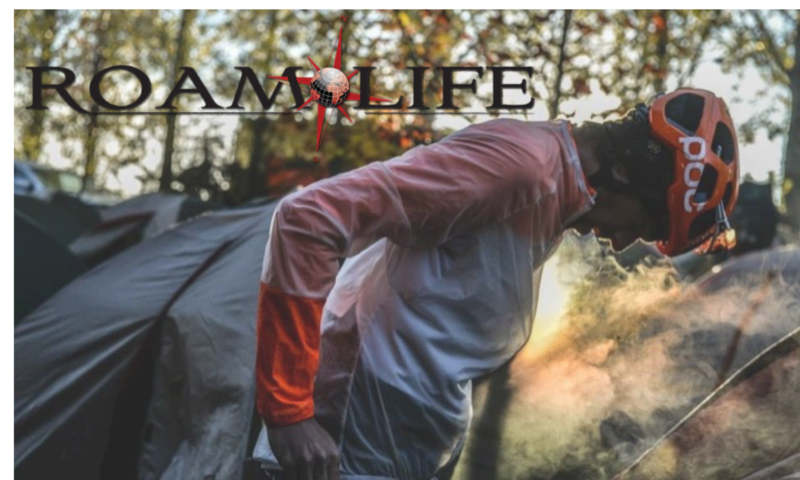 For more information or to contact Angel, e-mail christine@roamlife.com.